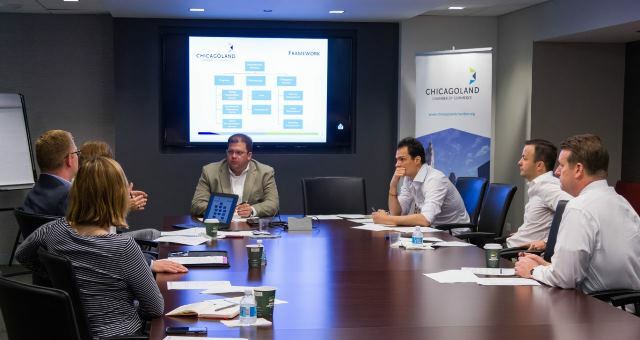 International initiatives of the Chicagoland Chamber of Commerce provide a gateway between corporate Chicagoland and the global community, via customized programs designed to the interests of Chamber members. We cultivate connections between Chicago’s growing international business community and the rest of the world. We host foreign delegations and thought leadership forums; we develop roundtables with global experts on timely topics; and we are accessible, always, on a one-on-on-basis to strategize with members on which connections we can help them make to open up the full world of possibilities. We know from our research which specific parts of the globe are most relevant to you. Our member survey found 49-percent of Chicagoland Chamber members do business internationally, with the top 5 international regions of interest, in order, being: Europe, Asia/Southeast Asia, Canada, Mexico and Central/South America. This insight guides our selection of thought leaders and content presented at events. Our events also include networking components, so Chamber members can make strategic connections, locally, that help broaden their international reach. This is our first edition of the Chamber International newsletter. Its goal is to extend the dialogue between the Chicagoland Chamber and you, our international business community. Please feel free to share news about your business with us, plus any ideas you have about Chamber programs and events, or how we can best serve you in general. My email address is here. Indonesia is a promising business destination for Chicagoland companies. With 255-million people,it is the 4th most populous country in the world. It has the 16th largest economy, an expected economic growth rate of 5.2% to 5.4% in 2017, and is 10th globally in purchasing power. Indonesia also has abundant natural resources, a growing digital economy, and a vibrant young population that is technically-trained and increasingly digitally connected. Indonesia is a member of the G-20 and has tax incentives for certain investments. More information, and registration for the roundtable can be found here. You are invited to take part in a free-flowing roundtable discussion over breakfast with the Consul General of Indonesia, Rosmalawati Chalid. Complimentary registration online here. 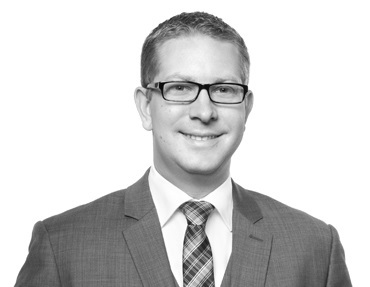 Meet our new GCF co-chair, Harris Sessions!